Things that will make Samsung Galaxy S6 better than Galaxy S5? Both Samsung Galaxy S5 and Galaxy S6 have not yet been released by the company, but talks are already high in the market. 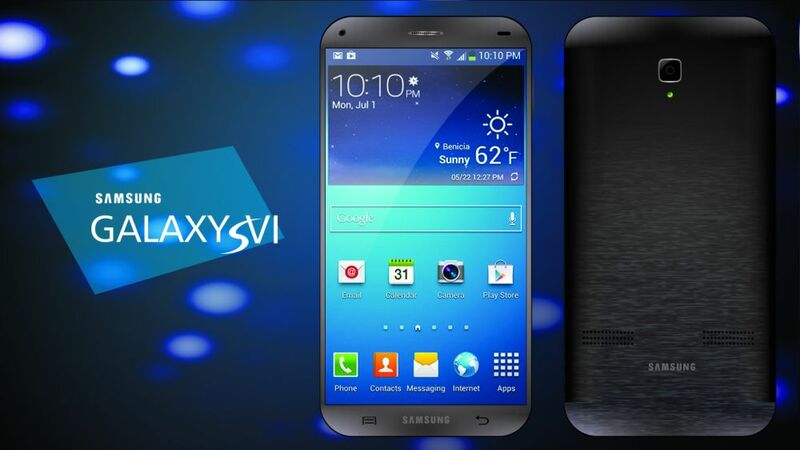 While Samsung Galaxy S5 is scheduled to be launched in March 2014 only, Galaxy S6 can be expected in early 2015. If you are wondering what these new Galaxy smartphones are going to look like or with what specifications they will be launched or which one between Galaxy S5 and S6 will come with better features, here is a quick comparison between these two upcoming Samsung Galaxy smartphones. All previous Galaxy S series smartphones were launched with Android OS. 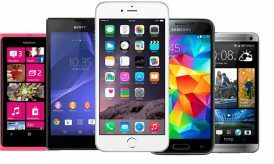 As we see a new upgraded version of Android with each successor of Galaxy S series phones, we may expect Galaxy S6 to come with the latest and the most advanced Android version or Samsung may even launch this Galaxy smartphone with its own OS, Tizen. 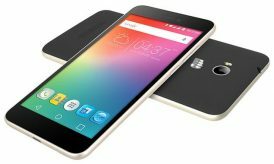 Samsung Galaxy S5, as featured on some online shopping websites, will be available with Android 4.4.2, which is right now the latest version of Android OS. Samsung Galaxy S4 featured a 13MP rear camera, which was the best until now as new Samsung Galaxy S5 is available with 16MP rear and 2.1MP front camera. So, what about Galaxy S6? Will Samsung improve the camera quality even more in its Galaxy S6 smartphone? According to rumors and talks, Samsung Galaxy S6 may feature a camera anywhere between 16 and 18 megapixels. Auto focus and LED will be some extra features with this camera. Samsung Galaxy S4 was introduced with a 5-inch screen and 1080×1920 pixels resolution. 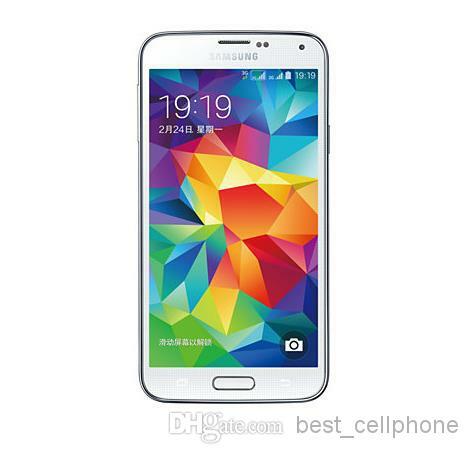 Then, Samsung introduced Galaxy S5 with more advanced features to beat its predecessor. Galaxy S5 is introduced with a 5.10-inch display and 1080×1920 pixels resolution, which is definitely better than the S4. What should one expect from Samsung Galaxy S6? If we believe in what rumors says, Galaxy S6 will feature a 5.10-inch HD display and even a waterproof screen protector to improve the value of its display. Talking about memory, Samsung Galaxy S6 is definitely going to be better than its predecessors. Galaxy S4 featured 16GB of internal storage and 2GB of RAM and its successor, i.e. Galaxy S5 is also being said to have the same memory features. Users will definitely expect Samsung Galaxy S6 to have some better memory specs and if we believe in rumors, the expectations are going to be fulfilled. Galaxy S6 may feature a 4GB RAM and better internal memory. Apart from above features, Samsung Galaxy S6 may also come with a fingerprint sensor, one which you might have already seen in an Apple iPhone. 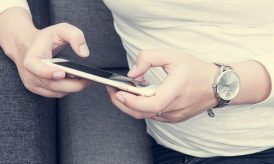 A 5G enabled network can also be expected to be featured in the next Samsung S series phone. Battery will be better and more powerful, at least 4,000- 5,000mAh. Samsung is set to launch Galaxy S5 smartphone in the current Mobile World Congress event 2014. If it continues with the same frequency, we might see the next S series smartphone, Samsung Galaxy S6 in early 2015. This post was written by a guest contribution. If you would like to write for us, check out our guest post guidelines for details on how to join eSoftload Community. I think Galaxy S5 lacks in camera and other functionality also but i feel Galaxy S6 recover from all the mistakes that Galaxy S5 repeats. Agreed if these things are coming in Galaxy S6 i am sure this is gonna be one in all gadget.